Participant Media announced today at MIPCOM that it has developed, financed and produced Kartemquin's new project America to Me created by renowned filmmaker Steve James. 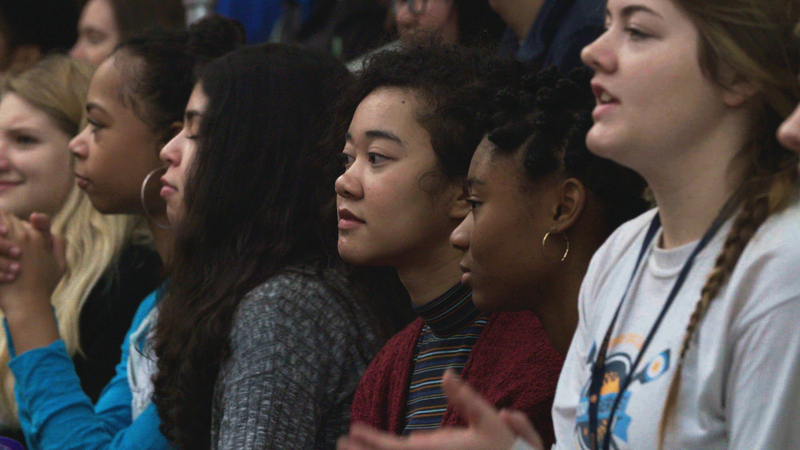 Participant's first unscripted series, America to Me follows a year in suburban Chicago’s Oak Park and River Forest High School, one of the country’s most exemplary and diverse public schools, as students, teachers and administrators grapple with decades-long racial and educational inequities. James is series director and executive producer via his longtime production home Kartemquin Films, along with Gordon Quinn, Betsy Steinberg, and Justine Nagan. Kartemquin received a grant from the James D. and Catherine T. MacArthur Foundation in early 2016 to contribute to the production. Participant Media holds the worldwide rights to the series. James will be present to reveal and discuss the first and only exclusive sneak preview of a short sample of footage of America to Me on Friday, November 4th at 8pm as part of our Fall Showcase at our Kartemquin Fall Festival, Nov 2-4 at ArcLight Cinemas, Chicago. Tickets are limited - get yours now. In 1994, James directed, produced and co-edited the critically lauded documentary, Hoop Dreams. The film was nominated for multiple awards, including an Academy Award® nomination for Best Editing. His other acclaimed works include Stevie, The New Americans, The War Tapes, At the Death House Door, The Interrupters, and most recently, Life Itself. For America to Me, James assembled a talented group of filmmakers, including story directors Kevin Shaw, Rebecca Parish and Bing Liu Other America to Me credits include: John Condne, series, producer; Risé Sanders-Weir, producer; Janea Smith, co-producer; and Stephanie Smith, associate producer. Editors are Leslie Simmer and David Simpson; associate editor, Alanna Schmelter; and assistant editor, Rubin Daniels. Find out more at www.kartemquin.com/films/america-to-me.